In a perfect world, you’d always have plenty of time to prepare for a relocation. However, unexpected job opportunities, problems with your lease, and a variety of other situations can require moving on short notice, a process that is far from stress-free. 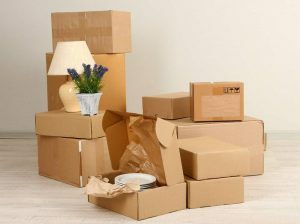 Below are a few tips for making the entire process easier, from getting your belongings in order to hiring a professional moving company. Even if you haven’t finalized a move-in date at your new residence, begin packing away seldom-used items like spare linens and out-of-season clothing. Start with keepsakes, photo albums, and other fragile items so you don’t have to pack them in a rush later. No matter where you live, summer is the high season for moving, so getting a company on short notice during these months can often be difficult. As soon as you have a firm moving date, call your moving company of choice and make a reservation. Setting a schedule early on and sticking with it will help you avoid scrambling at the last minute to take care of things you forgot. Take a look at the calendar and set firm deadlines for when each project should be finished. Breaking the move down into a series of smaller tasks will make the entire process easier. The rush of a last-minute move can create chaos when the dust settles in your new home. To make your move-in as easy as possible, color code the boxes or develop a labeling system that will quickly reveal where any given box goes. For over a quarter of a century, the professionals at WestPac International have been one of Hawaii’s most trusted moving companies. 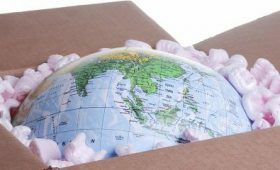 Whether you’re moving to the other side of town or across the world, they will get your belongings there safely, even on short notice. Visit their website now to see a comprehensive list of their moving services, follow their Facebook for more tips, or call (808) 845-9711 for a quote.